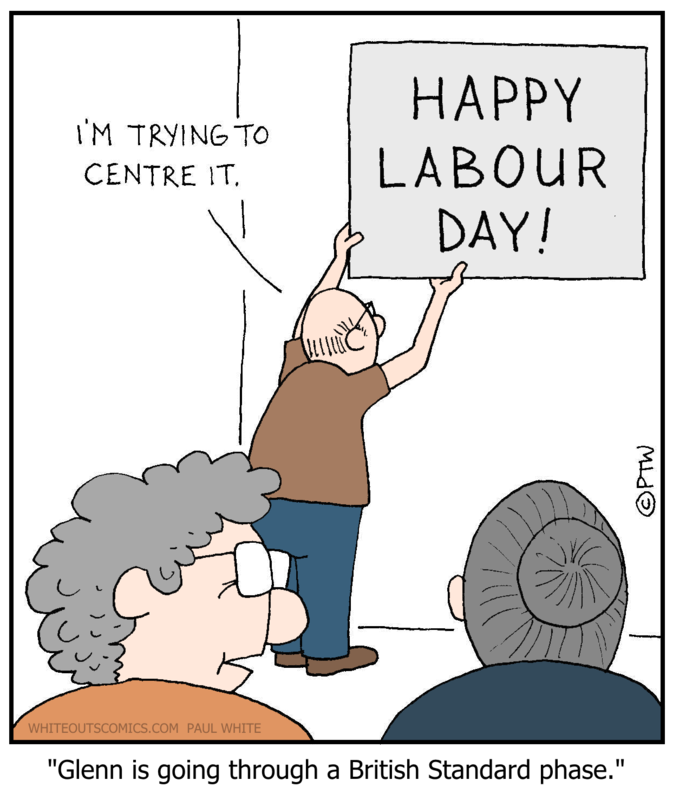 Welcome back G & P.
One last Labor Day cartoon. I start a new job tomorrow–will try to keep this in mind. Quote is from Wilkie Au, S.J. Happy Labor Day, especially to the mums. Good job everyone. We survived year one of Trump. Hang in there! You didn’t know they had microphones in the 1st century? So said Louis Pasteur, who was vaccinated for Christmas. The name of the cereal is my favorite part of this cartoon. He bought the sign materials at the hardware shoppe.